I really wanted to start my first post of 2013 off with a very sizzling BANG!!! I've mentioned on here before my many fashion inspirations and one of them happens to be Jameela Jamil. 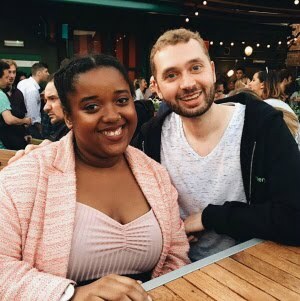 Last week I thought I'd take a chance and be a little cheeky and ask her how I could go about getting her to answer a few questions for my blog, the next thing I know she had given me sometime to ask away some questions. I didn't want to push my luck so I only asked her five questions. I'd just like to quickly say ALWAYS be prepared with questions to ask someone you admire for your blog as you never know, you might be lucky enough to get that opportunity and you really don't want to be stuck for questions to ask. I asked her 5 fashion related questions and I really loved the answers she gave back. I even learnt things I didn't know about her before. 1.) What was your favourite fashion trend of 2012? studded leather skirt to LFW in February. 2.) What trend do you think we should look out for in 2013? Brights. Yellow and orange are to continue to reign supreme. Fashion has become bolder and ballsier and it's important to have a pulse. 3.) What's your favourite statement piece to wear? My statement pieces are good hats and statement bags. I love a fedora and wear them so frequently, I think people think i'm bald underneath! 4.) What made you so interested in fashion? I've been painting and taking photographs since I was 12. I love art, and fashion is basically a beautiful dynamic artform you can wear. 5.) Finally, who is your fashion inspiration? My fashion inspiration designer wise, would be a tie between Dolce and Gabbana, William Tempest and Marchesa. They design to respect the curves of a woman's body. I always say, a woman's body is like a racetrack, you must be mindful of the curves and the bends. They are romantic designers that cater to strong but feminine women. I love them all. Fashion icon-wise. I think Kate Bosworth never gets it wrong without ever being dull. The same can be said for Olivia Palermo. Lovely post, I'm so happy for you that she agreed to answer the questions for your blog! Happy new year! Thank you so much Leah, it made me seriously so happy when she agreed! :') Happy new year beaut! Thank you lovely! :D I just tweeted her! Thank you very much beaut! Happy new year! Thank you Georgia! :) You never know, anything could happen! :D happy new year to you too lovely! Amazing! I love her and I am glad you got to interview her. 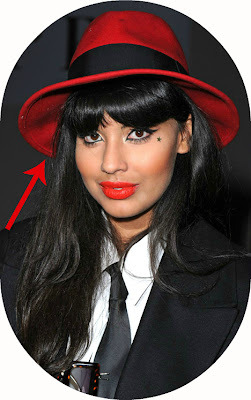 Oh, I'm so jealous you got to interview Jameela! She's one of my style icons. She seems so lovely! Anyway I hope you have a lovely new year. She's such a great style icon, isn't she! :D thank you lovely & a happy new year to you, wishing you all the best! How did you get the opportunity to do this!? Wow how amazing! She's such a beauty and a real fashion inspiration. Good questions! Wow, you are so lucky! I love that quote about being mindful of the bends and curves of a woman's body. Jameela's tweets always make me chuckle. Thank you Allie! :D her tweets are just so funny and hilarious. I'll have to check out that video now. congrats on getting an interview with jameela! i've not met her in person, but i have felt that she was a lovely person, and would make time to anser a few Qs! hope you run into more friendly celebs! Thanks so much lovely! :) she is definitely how you've described her, haha!